Mumbai, 24th November: Come munch some activated charcoal bi colored croissant with Sesame cream and sip the refreshing charcoal mint lemonade. Yes, you heard it right. 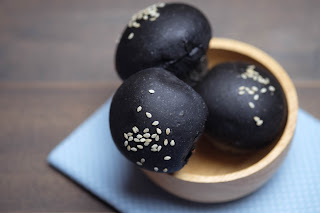 Foodhall, palladium has a dedicated activated charcoal zone where you can experience these unique black colored croisaant and mini black burgers don't forget to take it. 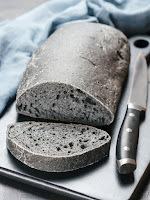 Charcoaled food is buzzing on menus and plates and its earthy,slightly smoky taste and dark colouring gives a premium feel to food and makes it a real talking point amongst chefs and customers alike yearning to try new and healthy stuff.